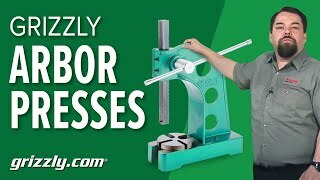 The beauty of these arbor presses is the ratcheting system that allows you to get the most leverage per pull, in the most convenient position possible. 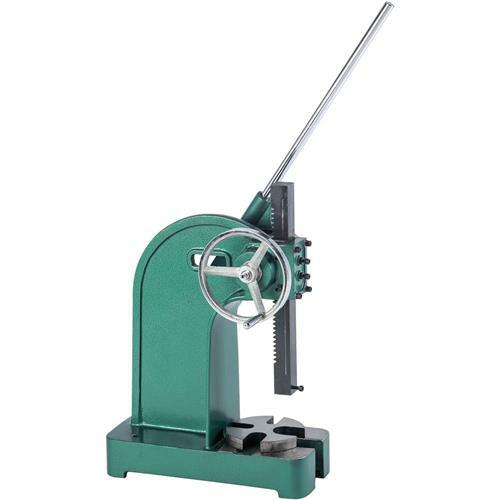 Use the handwheel to quickly move the press to where you need it, then pull the ratcheting handle down to apply the necessary pressure. Specifications:Capacity: 5 ton Throat: 12-1/8" Working height: 18" Weight: 265 lb. 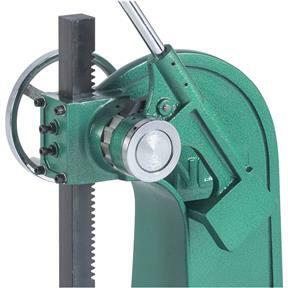 The beauty of these arbor presses is the ratcheting system that allows you to get the most leverage per pull, in the most convenient position possible. 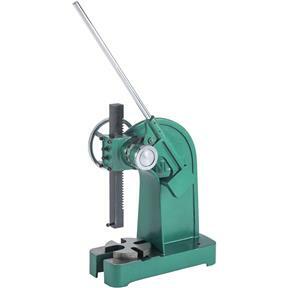 Use the handwheel to quickly move the press to where you need it, then pull the ratcheting handle down to apply the necessary pressure. Really good price, much beefier than others costing much more. Just be sure you have a stout base as this is one big dude.